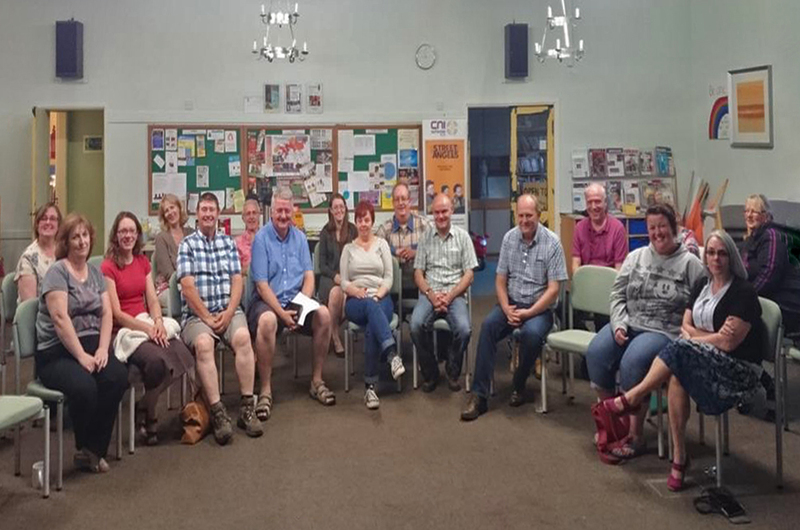 The meeting at St Francis’ Church last night proved to be enjoyable and informative as Paul Blakey updated us on the happenings in CNI and, by visiting us, clocked up visit number 70 out of 130 (yes, there are 130 Street Angels and other projects)! We were also blessed by the visit of Rick Hill (from Lichfield Listeners) who told us a little of the work they do and some of the encounters they have had. 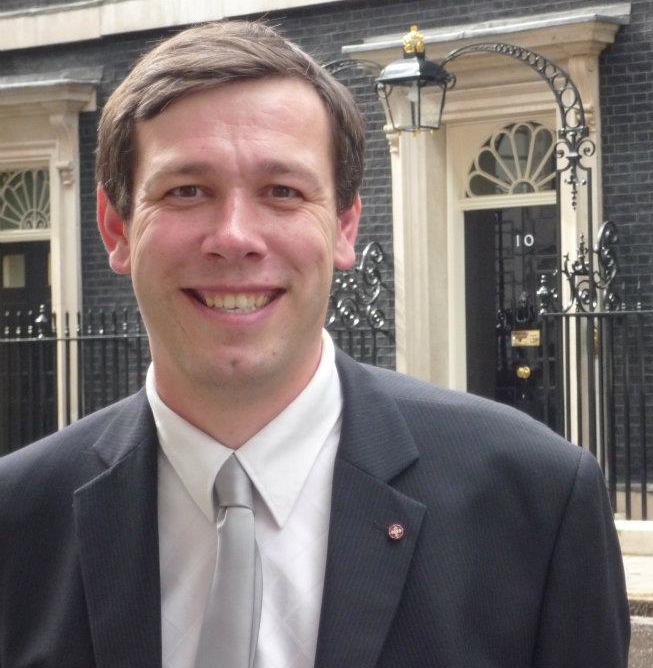 In all, a great night, now looking forward to another in October (how does Tuesday 20th sound to people?). 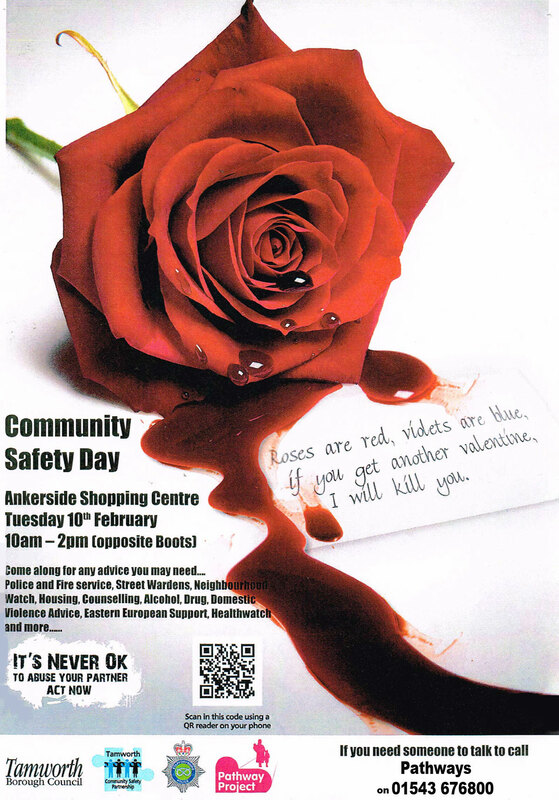 Paul will be coming to touch base and update on the work of CNI generally and we will hopefully be joined by members of other groups and hopefully some representation for the council and the local policing unit too. We have much to share and much to celebrate so please make a note in your diary about the evening and bring others along so they can get a feel for who we are and what we do and perhaps sign up and join us too. Tuesday the 30th September saw us visit the Tamworth Rotary Club to tell them a bit about what we do and how we operate. The evening was hosted by Roasters on Ventura (a great experience as ever) and the questions the members asked were engaged and thoughtful (as you’d expect). 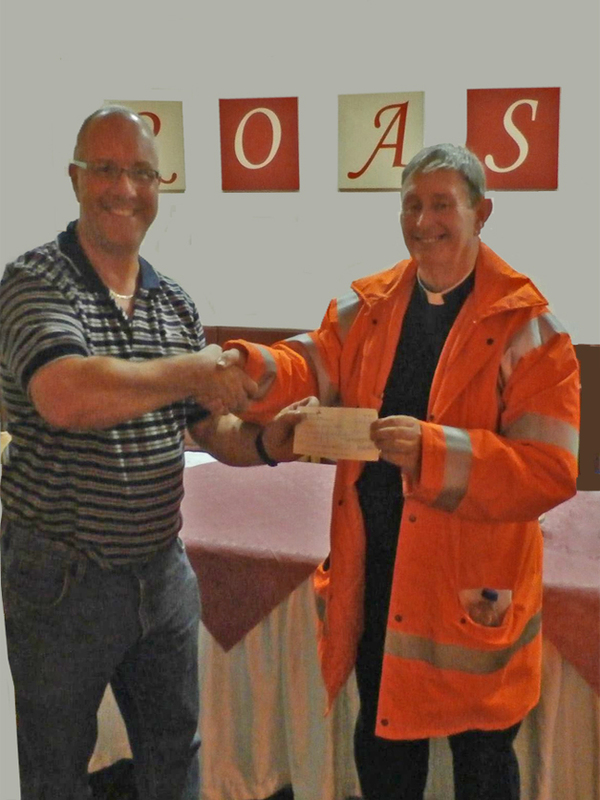 At the end of the evening they gave Tamworth Street Angels a donation towards the work – something that was greatly appreciated and, of course, most welcome. Hopefully some of the members might take up our offer of coming out as observers to see what a great experience it is to be out there showing God’s love to the people of our town. The next First Aid Course will take place on Sunday 30th November. The training begins at 12:30 and will end somewhere before 20:00. This is a one-day course which provides all the necessary skills to deal with the majority of the medical situations we encounter on the streets and enables us to triage and pass over any injured (or unwell) people to the Ambulance service should this be required (and, generally, it rarely is). 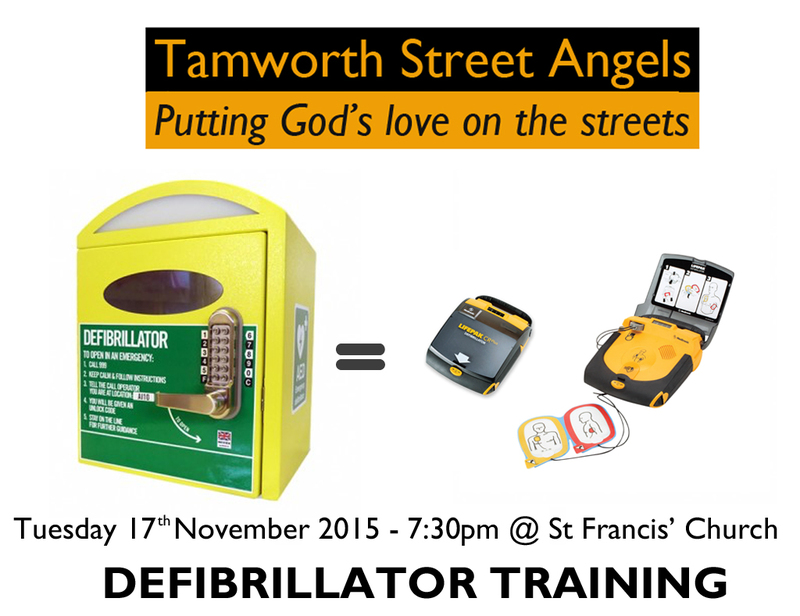 If you are a Street Angel and have not done this course yet then please consider attending this as a matter of importance as it is something of great value on the streets, in the workplace and in the home too. The trainer is not only experienced and is in great demand so having them teach is a real blessing – please take advantage of this opportunity. 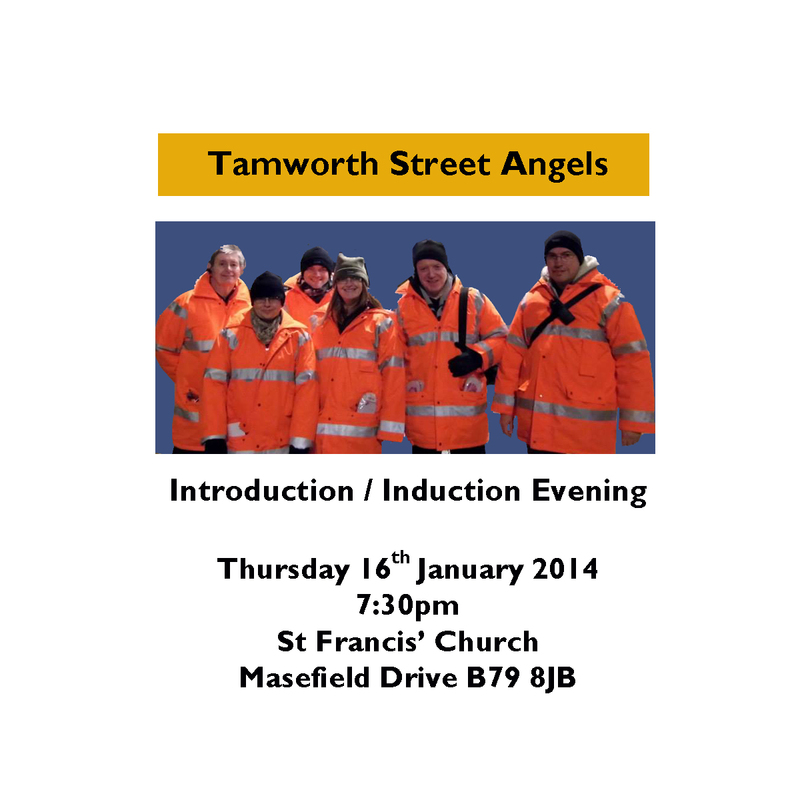 There is an opportunity to find out more about what being a Street Angels is all about and to find out whether it’s the right thing for you to get involved in. This meeting will answer your questions and hopefully get you to get involved with one of Tamworth’s best ‘safer streets’ initiatives.